I grew up in the post-industrial town of Gloversville, New York where my father owned a carpet store and my mother was a social worker. Once the hub of America’s glove making industry, Gloversville is distinguished today by defunct tanning mills, factories and the natural beauty of the Adirondack foothills. This juxtaposition of industry and natural beauty has always been a source of interest to me. During high school, when I worked in a leather mill, I was drawn to the mechanical forms of industrial equipment— giant tanning drums and embossing machines. I was equally drawn to organic forms and nature and spent much of my youth around Adirondack lakes, streams and mountains. As a fine art student at Ithaca College, I worked in various media, but there was never any doubt that my focus would be sculpture. Making art was a constant while I supported myself through various jobs—managing a leather store, fronting a rock band, working in the fishing industry in Alaska. 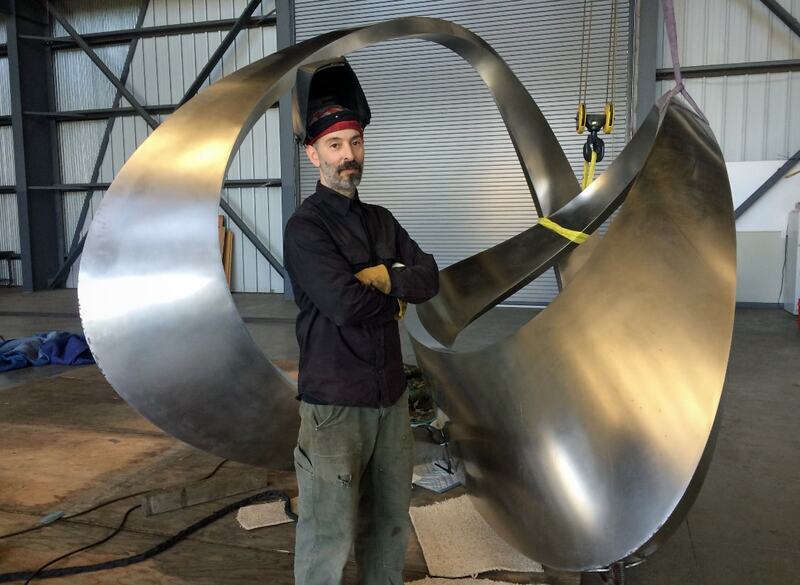 I became interested in computer aided design (CAD) and my job as a research assistant in the department of computer graphics at Cornell University led to an apprenticeship with Oakland-based sculptor Bruce Beasley. Following the apprenticeship, I established a studio and foundry in Oakland, California where I currently live and work. My sculptures have been exhibited in museums, galleries, and public spaces throughout the United States and abroad.